Wednesday night seems to be becoming library night for me. It is unfortunate that it coincides with Bingo night and the Bingo hall is directly above the library which means that parking is an issue, but luckily once we get a car park it's all good. Some time next year the new branch that is opening near me will be opened and then that will no longer be an issue. When I went to the library I was actually only expecting to pick up two items, but between the time when I checked my account online and getting in there a couple more items had appeared on my list! Beyond the Night by Joss Ware - Joss Ware is a pseudonym for Colleen Gleason. I enjoyed the Gardella Vampires series so will give this one, which as I understand it is more urban fantasy. It was kind of strange that this was at the library tonight because I actually got notification that it was ready to be picked up a couple of weeks ago but when I went to the library I couldn't find it and neither could the library staff. When I checked my account today it said that this had a trace on it, which was still the case when I got to the library tonight, but the book was just sitting there on the shelf with my other holds. No idea what was going on there really! Christmas Eve at Friday Harbor by Lisa Kleypas - This is the start of a new series from Lisa Kleypas. The book only came out of processing today so getting new book smell for library prices! Have to love that. I am not quite sure what is going on with this one in terms of the series though. It seems a bit odd that this book is being released now (and it isn't a full size novel), but then there will be no new Lisa Kleypas releases next year. Would have made more sense to release it next year, but I guess part of it is the holiday theme. I generally don't read a lot of holiday themed novels, but this is the third one I have on my TBR list so far! Dangerous to Know by Tasha Alexander - This is another brand new book, and is the next book in the Lady Emily Ashton series. I was a bit disappointed with the last one, so I hope this one is better. Jamaica Inn by Daphne du Maurier - I just finished reading The House on the Strand by this author, which I enjoyed so I am going to try to read a few more of her books. Penmarric by Susan Howatch - Misfit from At Home with a Good Book and the Cat recommended this author for those of us who like to read big, juicy sagas, and I can't resist those kinds of books! This one has the added bonus of being a kind of retelling of Plantagenet history which is an added bonus. Claire has Mr Linky this week, so head on over and share your loot! A few weeks ago I posted a video of John Grisham talking about libraries, and this week the video is from Elizabeth Gilbert. I originally saw these videos posted at readthis! I didn't realise the Tasha Alexander books were a series- I bought one (A Dangerous Season, I think) some time ago on a 'to clear' pile- still haven't read it! Hope you enjoy Jamaica Inn, will be interesting to hear your comparison. Ooh! Lots of great books in there! I am particularly interested in Jamaica Inn, as that is a book I have only heard a little about. I will be interested in hearing your take on it, and all the others that you picked up! Enjoy your new library stash! Thank you for reminding me about the Gardella Vampire Series. I was reading it and forgot about it. I'll have to pick up again. And it also looks like I should try her other series as well. Great loot! I hope you enjoy Penmarric as much as I did. What she does with the first person narrative is quite something. Quite a while since I read Penmarric but I remember loving it........and Jamaica Inn. Hope you will too. Linda, there was also some news recently about the next Gleason book too! Zibilee, you tend to mainly hear about Rebecca when talking about du Maurier but House on the Strand was good too. Sam, if you got A Poisoned Season, then that is the second book in the series. It starts with And Only to Deceive. Marg - I'll be interested to read your thoughts on Dangerous to Know -- I'm a fan of the series but found Tears of Pearl and Dangerous to lack some of the pizazz of the first three in the series. 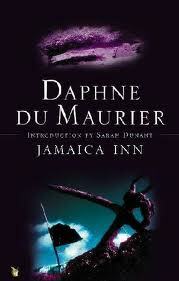 Read Jamaica Inn years ago and it's a good one -- can't go wrong with a du Maurier, in my opinion. Enjoy your loot! Joanne, I was disappointed in the last Tasha Alexander too. I was hoping this one would be better, so it will be interesting to see if it is. Doesn't sound like it from your comments. I've never had much luck with the Tasha Alexander books, but I hope this one works for you!